It’s been a steady couple of weeks since my last post, which is exactly how I like it! My husband and I went for a lovely overnight stay at a spa hotel which was great. I couldn’t do much of the stuff there – jacuzzis, hot tubs, sauna etc – but it was lovely just to be able to lie by the indoor pool and read and chill out and we both really enjoyed it. I had a growth scan at 31 weeks and baby was fine, but his/her little legs hadn’t grown quite as much as they had previously. I obviously instantly worried, but the specialist said that it could be several things – an earlier growth spurt, just a discrepancy between different sonographers who scanned me etc – so I have to go back on Thursday this week to see if this has changed. It’s there in the back of my mind, but I’m trying to relax and just see how it goes. Maybe baby will just have shorter legs, who knows?! Baby weighed in at 3lbs 11oz at exactly 31 weeks, so fingers crossed he/she has grown well by the next scan and all is well. We’ve bought pretty much everything that we need for baby now, Moses basket, travel system, nursery furniture, basic clothes etc, which I’m pleased about. I’ve found buying things quite strange, especially walking around trying out pushchairs, but it had to be done. Our house is due to be ready to move back into on 23rd April, so I’m really hoping that baby stays cooking until then, that would be amazing. I’m starting to do a little bit more now, but only really going out for dinner, visiting friends, nothing more exciting than that really. I know that I’m probably being over cautious, but I just feel nervous thinking about going for long walks or being out and about for too long. I’m grateful to be able to get out and about again, but I just don’t see the sense in overdoing it when I don’t need to, so I’ll just keep pottering along and see how I go. I’m enjoying being able to put on make up and do my hair and show off my bump a bit when I go out. Everyone has been encouraging me to try and enjoy this last bit of pregnancy, so I’m doing my best. I’ve always worked towards little milestones in my pregnancy – it kind of keeps me sane and gives me something to look forward to. My next goal is to get to 34 weeks, that would be amazing. I’ve heard that some babies are induced/delivered at 34 weeks, so I figure that baby must have a good chance if they are born then. For now I’m just glad for every day that passes as it gives baby more time to get bigger and stronger. My local hospital can care for babies born anytime after 27 weeks, so I’m glad that baby would be able to stay there if he/she came early. Still here, still cooking – 30 weeks today! I’ve bought all of the basics for baby now, which has been strange to do, but needed to be done. Everything is safely packed away and hopefully will stay that way for plenty of time yet. I saw the midwife yesterday for a check up and she measured my tummy to check baby’s growth. I was 29+6 weeks, so my tummy should have measured 29cm, yet she measured it at 23cm….?! So my tummy had apparently shrunk…..?! I told her that this couldn’t be right, but she insisted it was and brought forward my NHS scan from a week tomorrow until tomorrow. I naturally got upset and worried about this smaller measurement, but luckily I was seeing our private reproductive immunology specialist today for a scan, so that was handy. When I told the specialist about the measurement he almost laughed and said he could tell by looking at me that I was 30 weeks! Quite a skill if you can do it I guess!! But he measured me and I was at 30 weeks, so I’m guessing the midwife (who was lovely, but very young) might have been relatively new and didn’t quite get it right. Ah well. I’ve always measured small, which I told her, but I definitely could have done without the extra worry! We had the scan today and baby had a good heartbeat at 143bpm and weighed in at a brilliant 3lbs 8oz! Hurray! He/she is also above average size for their dates, which always makes me feel better. I’m staying on my progesterone, metformin and hydroxychloroquine until 36 weeks, and the doctor has said I can get back to normal now, which was good to hear, if not a little scary. So, back to plodding on and hoping for more cooking time! 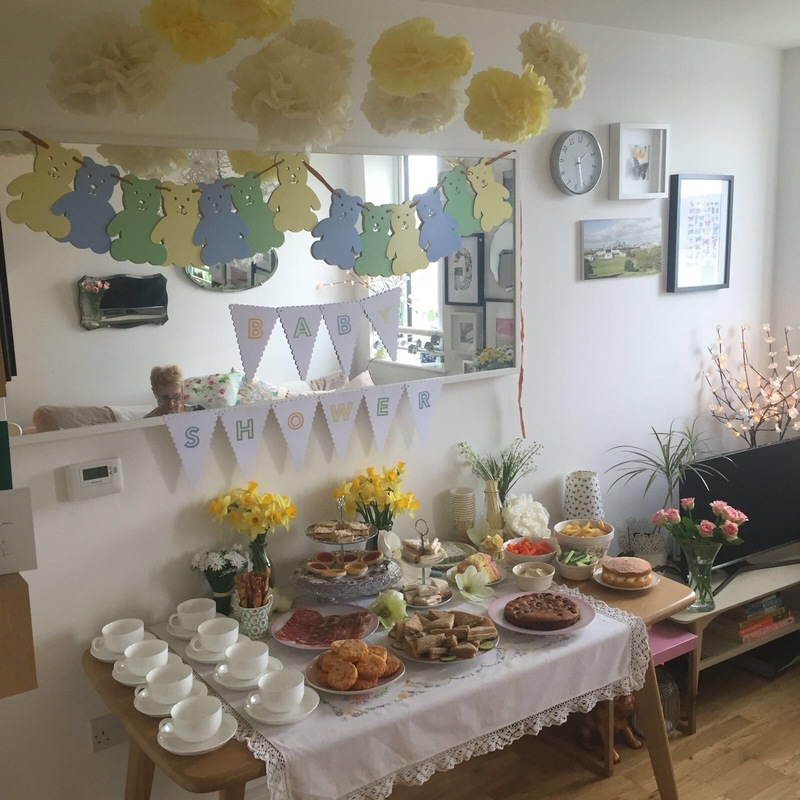 One of my best friends has taken over organising a baby shower for me a week on Sunday, so I’m really hoping that baby stays in until well after that. I’d love to be able to see my friends and enjoy that experience, fingers crossed. My husband has also booked us an evening away at a spa hotel next week too, so again I’m hoping baby stays put so we can enjoy that. It definitely makes me nervous to think about getting back to normal, but I know I’ll always take it pretty steady when I’m out and about – my days of long walks are over for now!